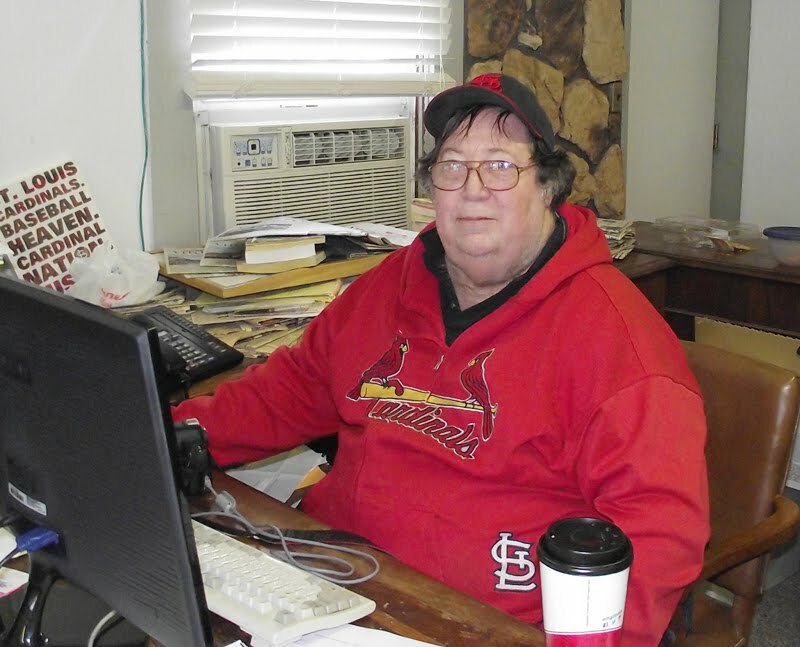 Back issues of the June 26, 2014 issue of the Times-Tribune are available at our offices. 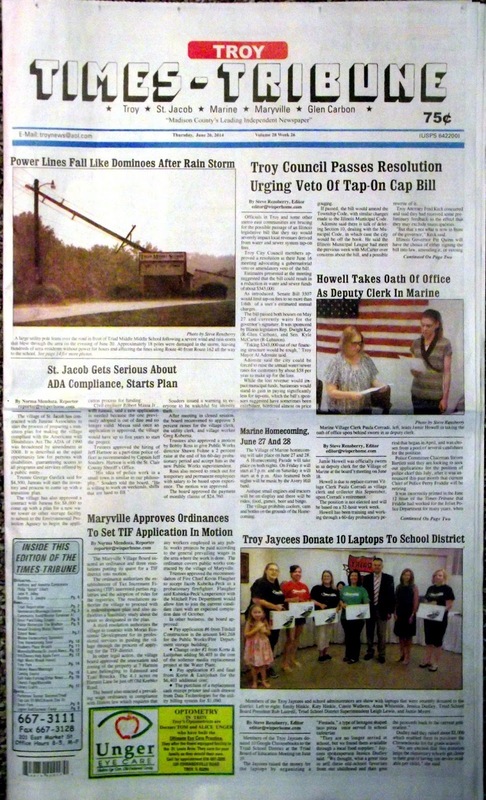 Some of the headlines in this issue: Troy Council Passes Resolution Urging Vego of Tap-On Cap Bill, St. Jacob Gets Serious About ADA Compliance; Marine Homecoming Is This Weekend, Maryville Approves Ordinance To Set TIP Application in Motion, Troy Homecoming Draws Closer, Jaycees Donate Laptop Computers, Community Band to Perform, St. Jacob to Oil/Chip Streets, Stop Sign Eyed for Riggin Road, Deputy Clerk Takes Oath of Office in Marine, Triad Registration Less Than One Month Away. Plus we have the most recent police blotters, a column about historical intrigue, a feature on the money being raised to rebuild Mills Apple Farm, a photo spread on Tri-Townwhip Park and on storm damage along Route 40 -- plus a whole lot more! This issue has obituaries for Anthony and Annetta Comporato, and Philip Elliott.